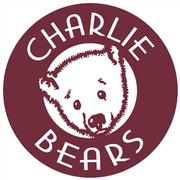 Here at Charlie Bears we like to think of ourselves as ‘the collectors bear company’ as we really do listen to our collectors feedback, ideas and bear suggestions. A big part of this also applies to the design of our bears and characters and the names we give them. As you may already know, many Charlie Bears are named after friends, family members, the bear cubs at Charlie Bears and of course our pets. And each year we also look to our collectors own stories for inspiration when it comes to design ideas and name suggestions. If you have a particular name for a bear or idea for the design of a bear or character, we’d love to hear from you. And what we’re really interested in, when you suggest a name or design idea, is the story behind your suggestion. So please tell us as much as possible about the person or pet you would like the bear to be named after. All that you need to do to enter your suggestion is to click HERE.